I’ve been the advisor to our ACM SIGGRAPH student chapter at Middle Tennessee State University since it’s inception in 2012. With each subsequent year, not only has our chapter membership expanded from a handful of curious students to over 100 paid members, but our involvement with the conference has also grown (as of Fall 2017, our Animation program is about 167 majors strong). 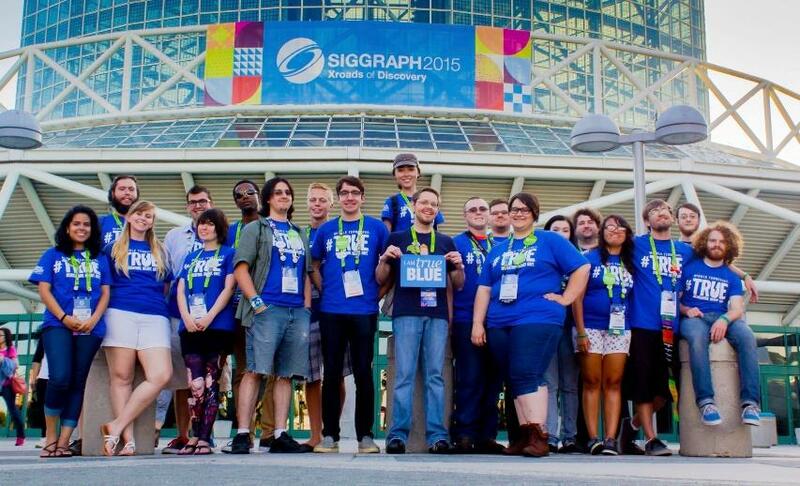 Every year since 2013, I’ve held a “SIGGRAPH Recap” event for our student chapter. Its purpose is to inform and encourage involvement and excitement for the conference. I’d like to think we’ve been successful at generating positive interest in attending SIGGRAPH. Below are some quick stats of our conference attendance growth. This chart does not include faculty or alumni involvement in various committees within the organization or conference. What follows is a list of what I’ve done, and my recommendations to help students get excited about ACM SIGGRAPH and attending the conference. Attend the conference yourself. You can’t properly speak about the conference if you haven’t lived it. PowerPoint works. I create a visually and auditory rich PowerPoint presentation that takes us through the entirety of the conference. This is the linchpin for the entire “SIGGRAPH Recap” event. Take lots of pictures and videos at the conference (where it’s allowed). These are for the presentation. Supplement with images and videos online. ACM SIGGRAPH has a great YouTube channel. I show the preview videos and any recap videos made available. Swag, swag, and more swag. People love free stuff! Collect as much swag as possible at the conference from the Exhibition floor and anywhere else they are giving things out; magazines, pens, pins, stickers, posters, do-dads, whatever. Get multiples when possible. I now have students collect extra swag as well. Pamphlets. At the conference, collect pamphlets and flyers from companies related to your program. I spread these out on a table before and after the recap to allow students to peruse them freely. For some students, this is their first time seeing a company beyond the content they create. Posters and pins. We hand out a poster and a pin of the following year’s conference to every student that attends the recap. I used to collect these at the conference. Now I ask the organization to send them to me directly. Cater to your audience. For the actual PP and presentation, focus and highlight the areas related to your program. For our program, it’s animation. I still talk about every aspect of the conference, but I lean heavily toward the area’s most of my students have interest in. List interest related companies and content. My students are in animation, so from the Panels and Talks I list out all the films, television, games, software, and companies they are familiar with. Again, cater to your audience. Beyond the conference. I include pictures my students have taken, typically of things and events outside the conference; having dinner together at a restaurant, chapter parties, Renderman Art and Science Fair, excursions before and after the conference (Hollywood Walk of Fame, Disneyland, the beach), or just plain having fun and being goofy. Students make the best salespeople. With each passing year, more and more students who were SVs or attendees have been able to come back and discuss their experiences. When peers say, “You need to go to this and here’s why,” it has much more impact than just a professor saying it. Former SVs are great because they can speak more in depth about the areas they were stationed and all the perks they get behind the scenes! Plug becoming an SV. I give them the full rundown on the application process and all the perks they get as an SV. Again, this is where former SVs can really help. Make it affordable. Most students are poor and going to the conference can be expensive. Recognize their lack of funds and inform them how it can be affordable; full conference pass for SVs, rooming with friends in a hotel, carpooling (yes, I’ve had students carpool from Nashville to Vancouver). Swag raffle. Raffle off all the swag. We distribute the swag such that no one leaves the event empty handed. Help ease student stress. 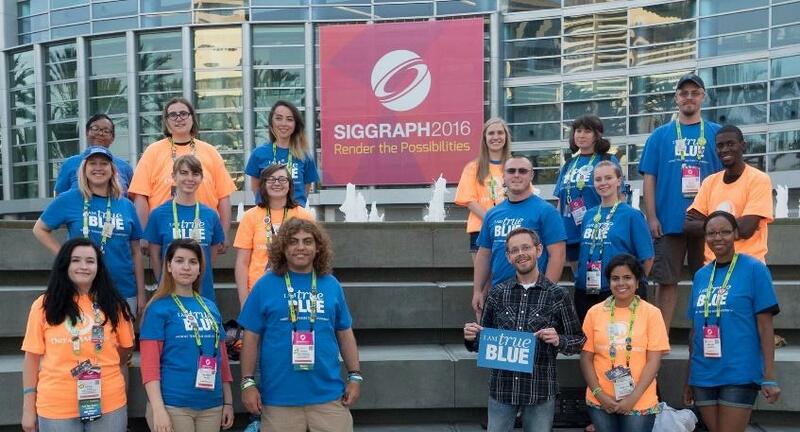 Many students put attending SIGGRAPH as the be all end all for the beginnings of their future careers. They put too much pressure on themselves during the conference. I tell them to not go with the purpose of “I need to get a job, and if I don’t I’m a failure.” Instead, go with the intent of laying the groundwork for your future career. Go with the intent of “I’m going to make some new friends!” And that really is a large part of the conference. This tends to ease their minds and allows them to be more relaxed and have way more fun. By the end of the recap, my students leave excited and energized, and they can’t wait until August. I hope this helps you and your school in some way. 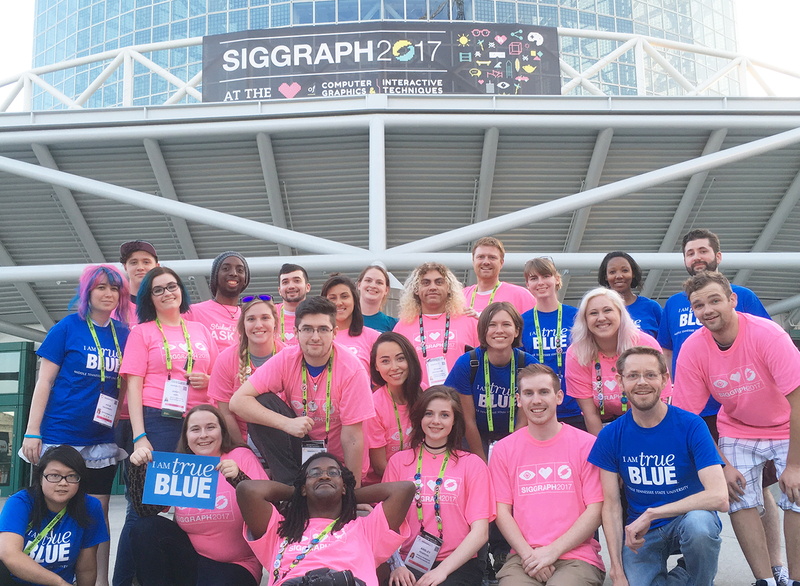 Below is a link to photos from last year’s SIGGRAPH 2017 Recap. Please enjoy.